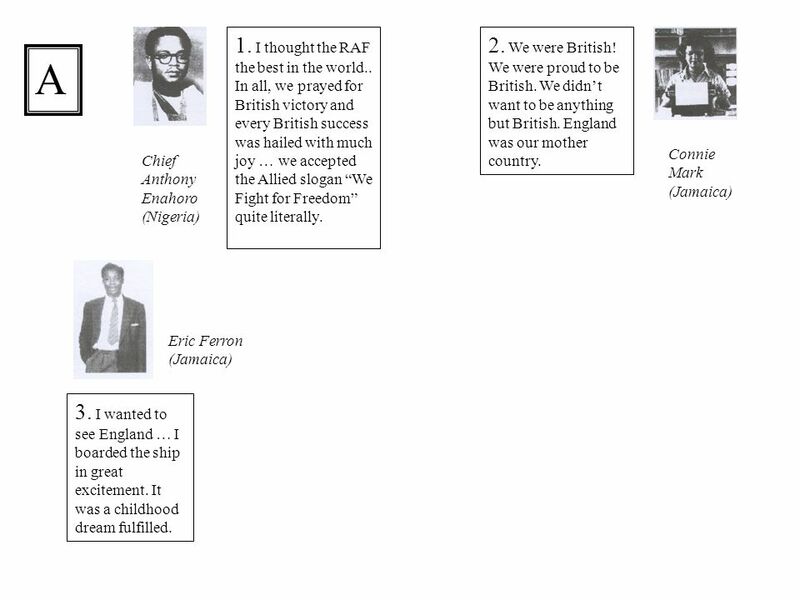 Africans, Caribbeans and Indians in the Second World War. 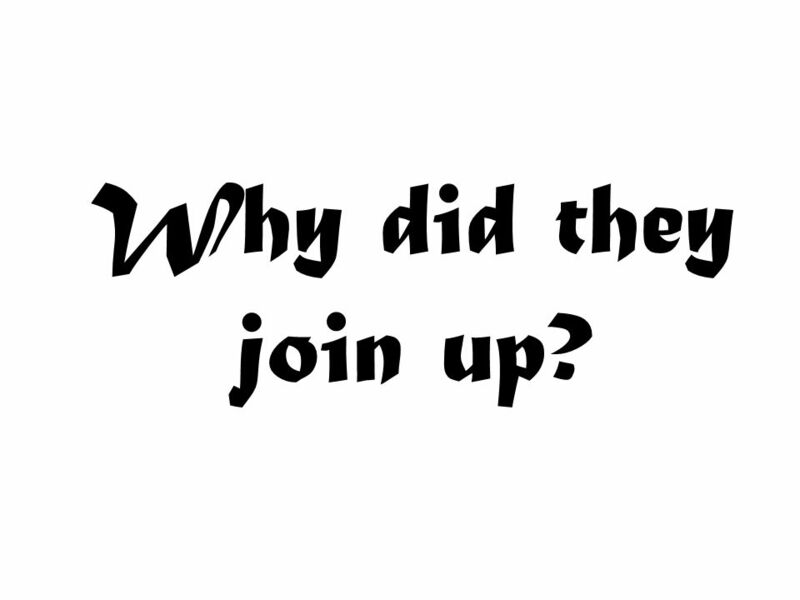 2 Why did they join up? 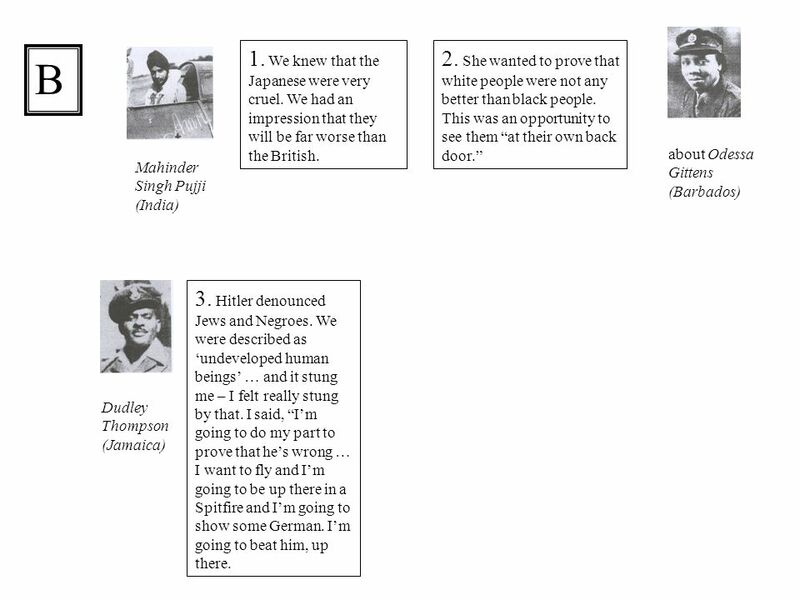 6 Were British people racist during the war? 9 Up in Cumberland the camp was near a small town by the sea. There were only a few Jamaicans there. One hot afternoon four of us were lazing around on the beach when two children came by, a boy about eleven and a girl a few years younger. 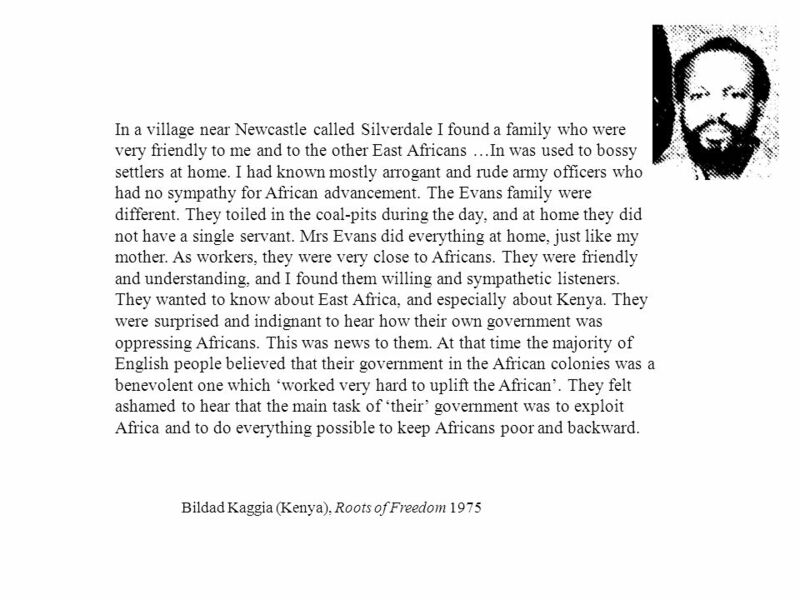 They stared at us very hard but didnt say anything… Our teacher told us that black men live in trees and they dont wear shoes and they dont wear clothes and they dont have houses. 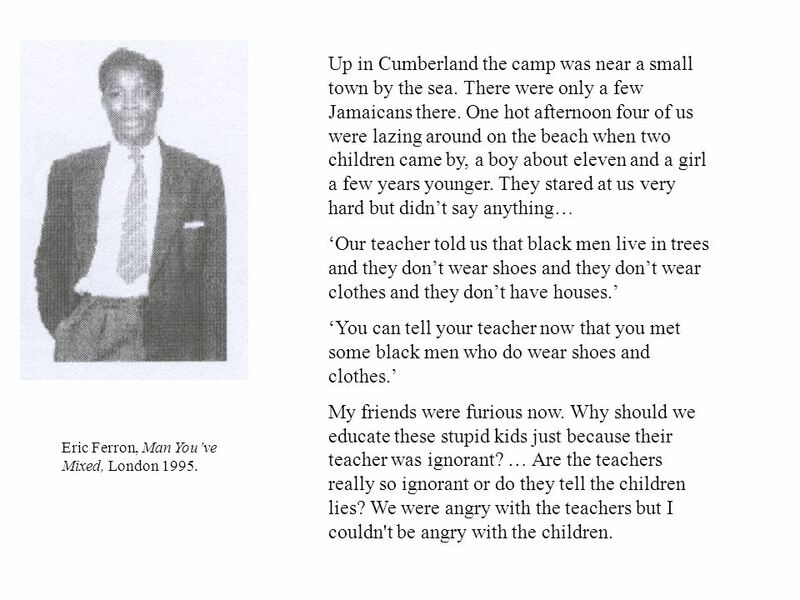 You can tell your teacher now that you met some black men who do wear shoes and clothes. My friends were furious now. Why should we educate these stupid kids just because their teacher was ignorant? … Are the teachers really so ignorant or do they tell the children lies? We were angry with the teachers but I couldn't be angry with the children. Eric Ferron, Man Youve Mixed, London 1995. 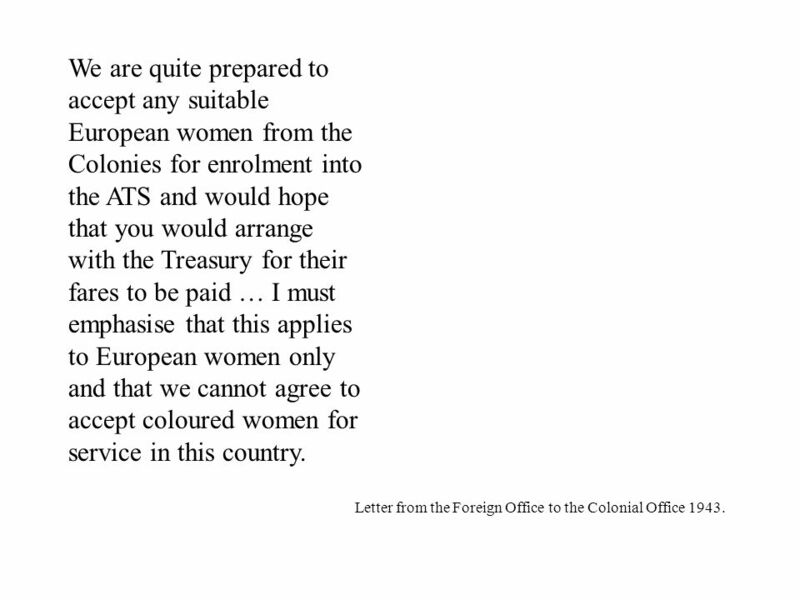 10 We are quite prepared to accept any suitable European women from the Colonies for enrolment into the ATS and would hope that you would arrange with the Treasury for their fares to be paid … I must emphasise that this applies to European women only and that we cannot agree to accept coloured women for service in this country. 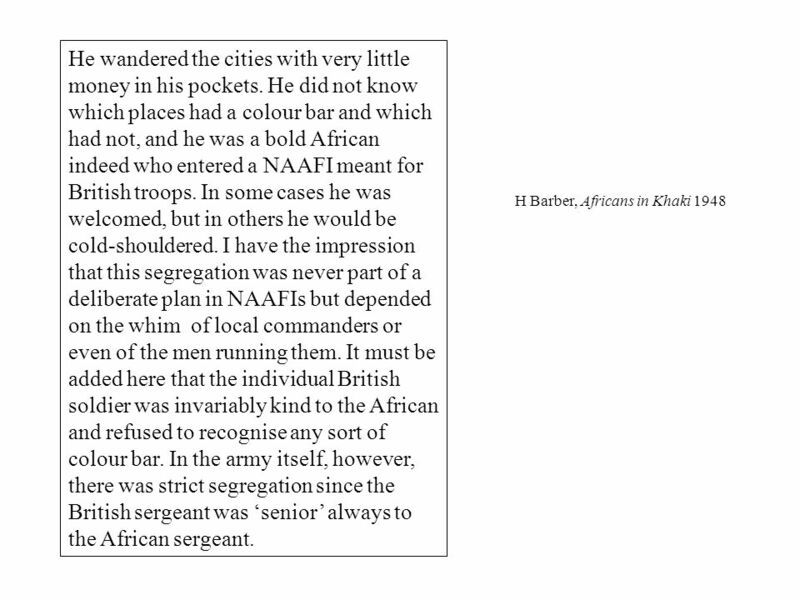 Letter from the Foreign Office to the Colonial Office 1943. 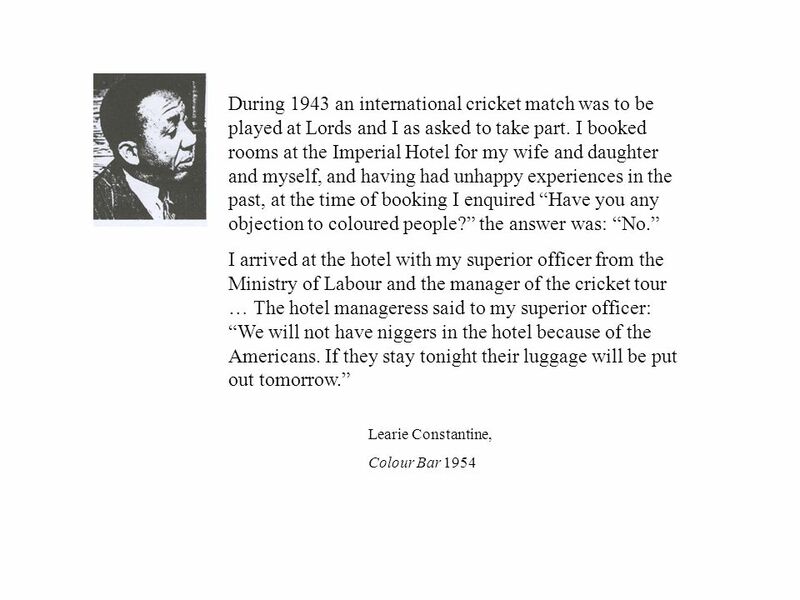 11 Part of the story of the British Commonwealth in the Second World War took place in a climate of stark racial prejudice. 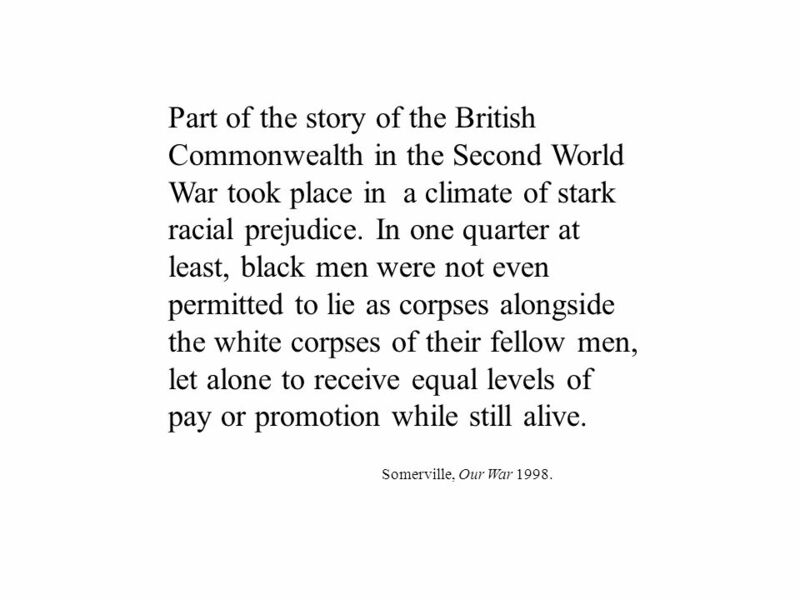 In one quarter at least, black men were not even permitted to lie as corpses alongside the white corpses of their fellow men, let alone to receive equal levels of pay or promotion while still alive. Somerville, Our War 1998. 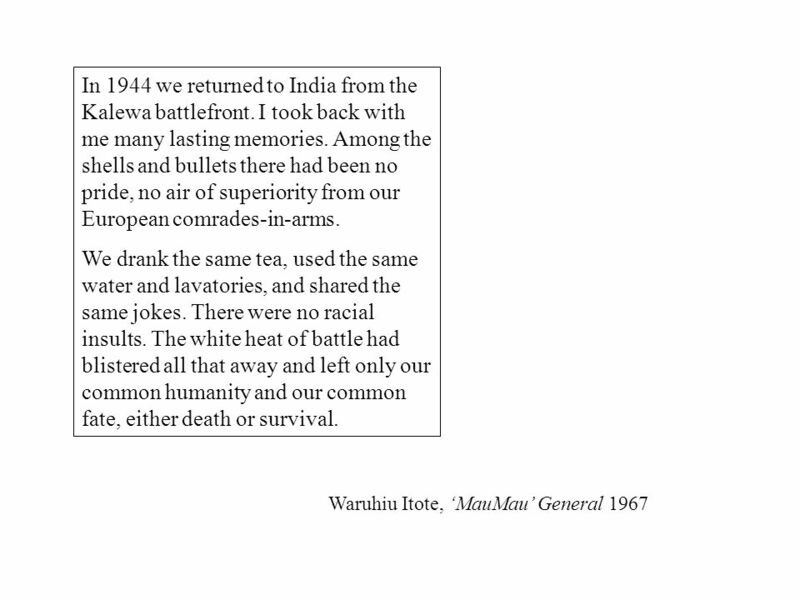 13 Waruhiu Itote, MauMau General 1967 In 1944 we returned to India from the Kalewa battlefront. I took back with me many lasting memories. 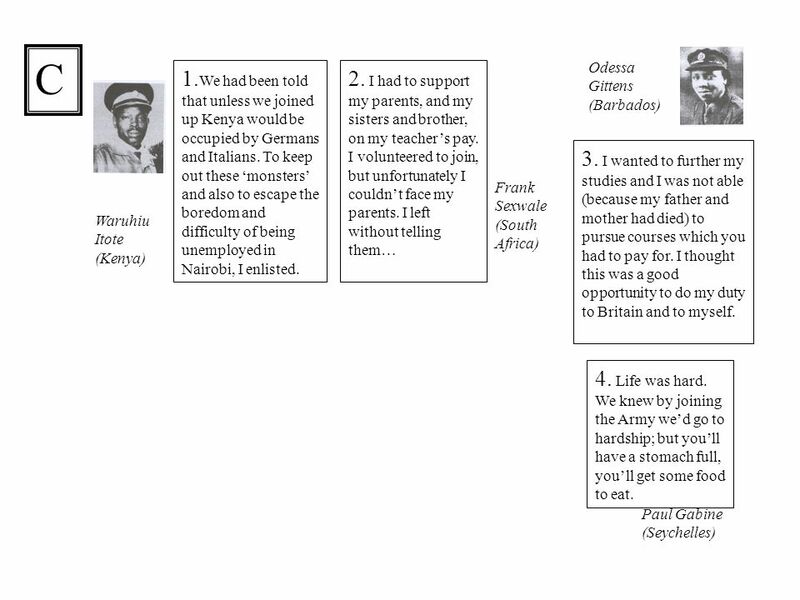 Among the shells and bullets there had been no pride, no air of superiority from our European comrades-in-arms. We drank the same tea, used the same water and lavatories, and shared the same jokes. There were no racial insults. The white heat of battle had blistered all that away and left only our common humanity and our common fate, either death or survival. 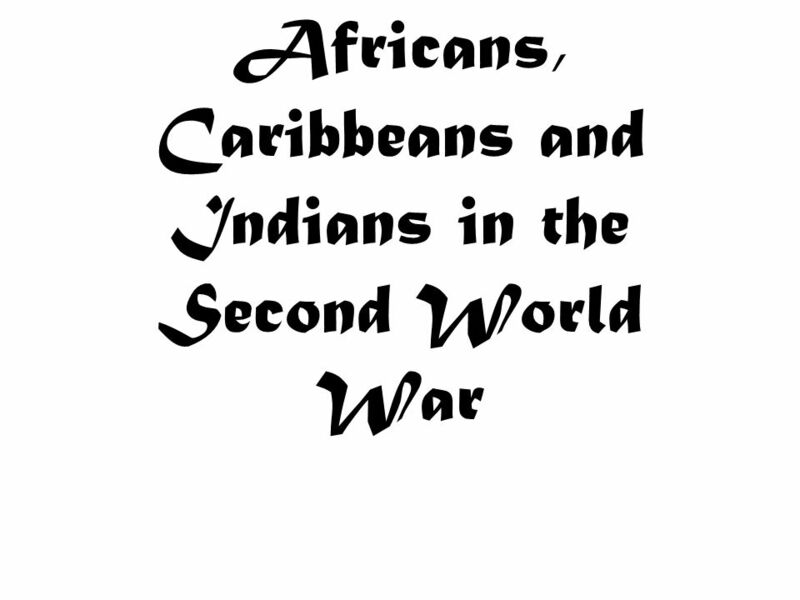 Download ppt "Africans, Caribbeans and Indians in the Second World War." What does the source tell me? What can I infer? What does the source not tell me? What other questions do I need to ask? 1 Children in London getting ready. The Cay Ryan Korom February 3, 2010 Final Project. iMAGINE what happened, then be grateful we aren’t in the situation ! When will this cruel war be over? The Civil War diary of Emma Thompson By Barry Denenburg. Acts 9:32-10:48 Pastor Keone. Peter’s Ministry 1.Heals Aeneas (9:32-35) 2.Raises Tabitha from the dead (9:35-43) 3.Opens the door of faith to the Gentiles. 1 Task 2 : Listening 1. A teacher used a dialogue for listening. Below, she describes what she did and how well it worked : “ I told the class to close. On My Honor Report by Jake Crouse By Marion Dane Bauer.